Our ambition is growing day after day, and our achievements are all aimed at raising the quality of health services and activating the principles of patient safety. 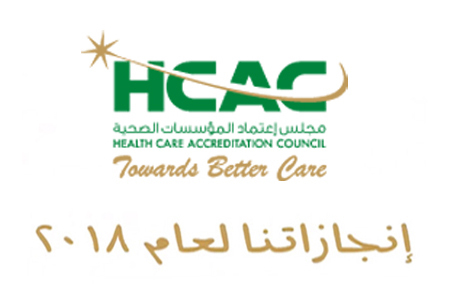 The Health Care Accreditation Council (HCAC) is a national non-profit organization dedicated to promoting quality improvement and patient safety in healthcare in Jordan and the Arab region. HCAC adopts a collaborative approach to uphold patient needs, ethics best practices through the development of standards, awarding accreditation and certification, building the capacity of healthcare, providing consultation to support change, and national awareness. We are proud to be the first and foremost entity in the East Mediterranean region that has achieved and maintains all three International Society for Quality in Healthcare (ISQua) accreditations.